Staff who fell prey to phishing attacks. Weak administrator passwords. Not applying a patch that could have stopped the hacking. And an IT cyber-security team that could not even recognise a security incident. NEWLY incorporated businesses in Singapore will have access to subsidised digital solutions provided by industry players, under an initiative launched by the Infocomm Media Development Authority (IMDA) and Enterprise Singapore on Wednesday. The Government Parliamentary Committee (GPC) for Health wants to know why two in 10 subsidised patients are not getting full cover from MediShield Life. Singapore-based agricultural commodities trading firm Olam International Ltd will shut its sugar trade desk, spokeswoman Nikki Barber said on Tuesday, another sign of pressure on trading houses. Are people giving away too much about themselves that it could come back to hurt them? The programme Why It Matters discovers how easy it is to extract personal information from social media posts and even name cards. Singaporean journalists will now have the opportunity to better identify, counter and manage fake news and misinformation via a one-day workshop scheduled on 23 January to be held at the Concorde Hotel, Singapore. Japan goes into the new year holding 1st place on the Henley Passport Index, with citizens enjoying visa-free/visa-on-arrival access to 190 destinations. In a further display of Asian passport power, Singapore and South Korea now sit in joint 2nd place, with access to 189 destinations around the globe. The stocks have averaged ROE of 19% in the past year. 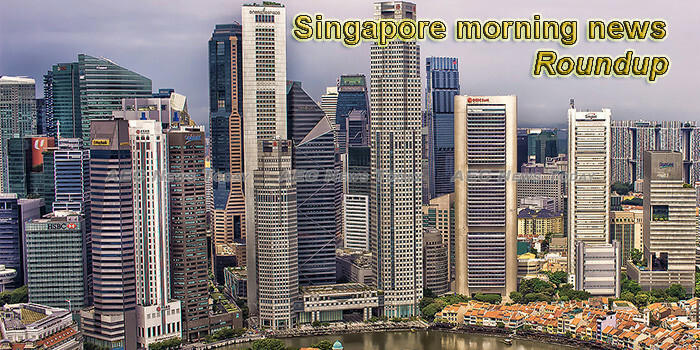 The revenues of the three biggest banks in Singapore is projected to grow by 7-9% in 2019 in a development that mimics that of the revenue dynamic from 2011-2014, according to Jefferies. The number of dengue cases has increased for three consecutive weeks, with 207 cases reported in the week ending Jan 5. SP Group said on Wednesday (Jan 9) it has rolled out its first wave of 38 electric vehicle charging points, a move that comes amid a growing popularity and uptake of electric vehicles. On the heels of the agreement between Singapore and Malaysia to take steps to de-escalate territorial tensions between the two countries, comes the news of buoy-laying vessel Polaris has left Singapore’s waters and gone back to the port in Tanjung Pelepas. This means that only one Malaysian vessel remains in Singapore’s territorial waters. A 69-year-old woman has claimed trial to 169 charges of cheating an elderly man of at least S$130,000 by telling him the money was needed for Lee Kuan Yew. It was rated highly for indicators such as broadband, human capital and tax friendliness but was marked down for freedom and short-term rentals, the 2019 International Innovation Scorecard shows. THE retirement and re-employment model for older workers continues to be relevant – and the mandatory retirement age should remain at 62 years, according to employer, government and worker representatives on Wednesday. AFTER languishing for much of 2018, Singapore-listed palm oil stocks could be looking at a new dawn this year on renewed demand, sliding inventories and other factors. This young man’s tale is an object lesson for… well, everyone who travels overseas. It’s always a good idea to keep the address where you’re staying on you at all times and to muster up enough courage to ask for help when you’re lost. Certificate of entitlement (COE) prices ended mostly higher at the latest tender on Wednesday (Jan 9), the eve of the 2019 Singapore Motorshow. US delivers an outstanding Dec 2018 jobs report. What repercussions does this have for Singapore investors? The National University of Singapore (NUS) has promised undergraduates in the communications and new media course that it will bring in high quality academic staff after a series of lecturer resignations. A Scoot flight from Singapore to Melbourne was forced to turn back to Changi Airport 48 minutes into its flight as a result of a fault in its weather radar, Channel NewsAsia (CNA) reported on Jan. 9. CNA Lifestyle Experiences: It’s a smorgasbord for the senses at the Becoming Singapore heritage tour and lunch. David Wee of Wee’s Collection has been collecting Singapore heritage items since he was 15 – and he also rents them out for events. Is Investment Performance Attributable To Skill Or Luck? Trying to determine if skill is involved can be tough, especially when times are good. A study by DBS Bank has found that Institute of Technical Education (ITE) students were better than their peers at saving their pocket money. After all these years your NRIC is recognised as sacred information. The liquidators of oBike said on Wednesday (Jan 9) that it will hold a meeting with creditors of the bike-sharing company, including users who previously paid a deposit, to provide an update on the company’s winding up process. Parents Gateway, the digital service that connects parents and schools on key administrative matters, was officially launched by Minister for Education, Mr Ong Ye Kung, at Huamin Primary School earlier on Wednesday (2 January). Gold Price is Rising: Should You Switch Out of Singapore Shares and Load Up on Gold Instead? I still prefer investing in shares over gold. Here’s why. The Court of Appeal had dismissed two appeals by luxury brands Burberry and Louis Vuitton, against the decision of Justice George Wei in the High Court, holding Singapore freight forwarder Megastar Shipping Pte Ltd not liable for trade mark infringement in respect of two sealed containers containing counterfeit goods bearing the formers’ brand’s signs. The consumer watchdog in Singapore has raised the alert on Danish online retailer Lux International Sales ApS, after receiving complaints by customers who said they were sent payment notices even though they did not agree to the purchases. Details of an 8ha extension to the Botanic Gardens, which will bring it to its largest size to date, were unveiled yesterday, along with news that the expansion would take about 12 months more than earlier expected. Private equity firms in Asia, which are sitting on plenty of dry powder, can look to a fresh target in the world’s largest health and beauty retailer. They may get a bargain. The National Environment Agency (NEA) announced on Tuesday, January 8, that four new funeral parlor sites will be launched to meet the growing demand for such facilities, in part due to an aging citizenry. These sites, which are located away from residential places, will be allocated over the next 10 years.